Last week, on July 30, Chris Beard, CEO of the Mozilla Corporation, wrote an open letter to Microsoft’s CEO, lamenting the fact that upgrading to Windows 10 does not save the user’s preferences, and, in particular, his or her choice of default browser. Beard called on Microsoft to “reconsider [its] business tactic” and “respect people’s right to choice and control of their online experience”. Upon reading this letter, it is hard not to reminisce about the litigation that took place on both sides of the Atlantic in the 2000s, in which Microsoft was accused of unfairly leveraging its dominant position by bundling its own Internet browsing software (Internet Explorer) with its Operating System (the various versions of Windows). In Europe, this led in 2009 to substantial fines being imposed on Microsoft, and the introduction of the (in)famous “browser ballot” screen which allowed users to choose their preferred browser when they first went online on their new computer. Microsoft’s commitment to this user option came to an end in 2014, and Internet Explorer (replaced by Edge in Windows 10) is now back as the default browser for users of Microsoft Windows. Admittedly, the situation has changed significantly since 2009 and the browser ballot screen is now largely unnecessary, as the usage share of Internet Explorer has dropped rapidly in the last few years, having stabilised at around around 10%. The role of the ballot screen in this downfall was arguably minimal, as the share of Internet Explorer started dropping around 2003, and can be mainly attributed to security issues and lack of key functionalities compared to its competitors. 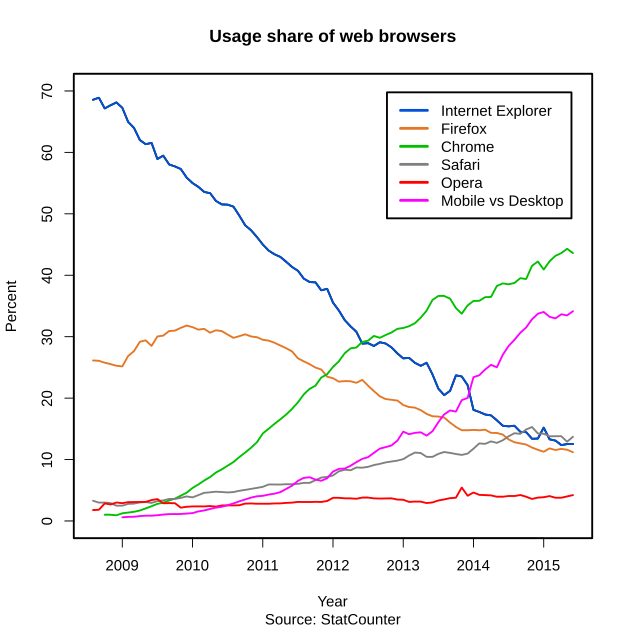 Whatever the cause, the ultimate goal was reached : users became more aware that different browsers were available, which increased competition, which in turn created incentives to offer the best service, ultimately benefiting all users (even Internet Explorer’s, as Microsoft caught up with its competitors). Whether Microsoft’s new browser, Edge, will change this picture and help Microsoft gain its leader position back, is, at this stage, anyone’s guess. But if it does, it will have to be on its own merits, in a highly competitive marketplace with knowledgeable users willing to switch to the best service being offered. 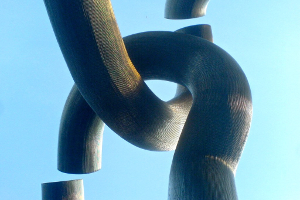 The internet browser, however, is only one of the many pieces of software typically bundled with new operating systems. In fact, the operating system itself is often bundled with the purchase of a new computer, a practice which has be dubbed by some as the “Windows tax“. Of course, there are some merits to the idea of bundling software : after all, most users would expect their computers to work and perform basic functionalities such as browsing the web, playing media files or editing documents “out of the box”. A ballot screen for office suites ? But this must not take place at the expense of users, whether in the most literal sense (through users being forced to pay for a licence for a piece of software they do not intend to use) or, simply, because of a lack of awareness on the availability and respective merits of alternative applications. If we are to take any lesson away from the browser wars, it is that greater competition in the marketplace ultimately leads to better services being offered to users.